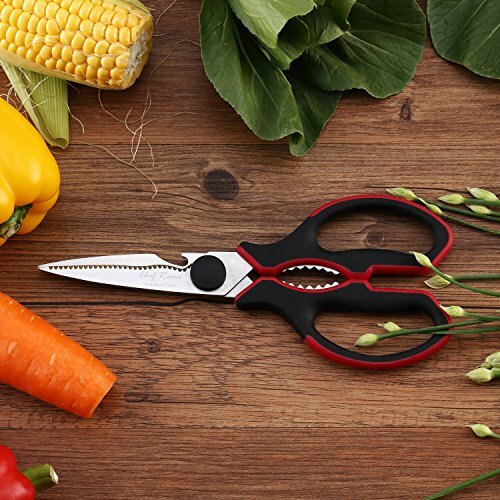 PULL APART KITCHEN SCISSORS - Are ideal for cutting of meat, poultry, vegetables, trimming fat etc. 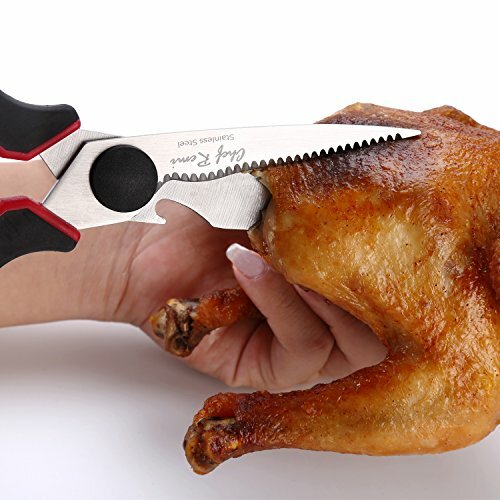 No need for a knife and board. When finished, they easily come apart for easy cleaning. 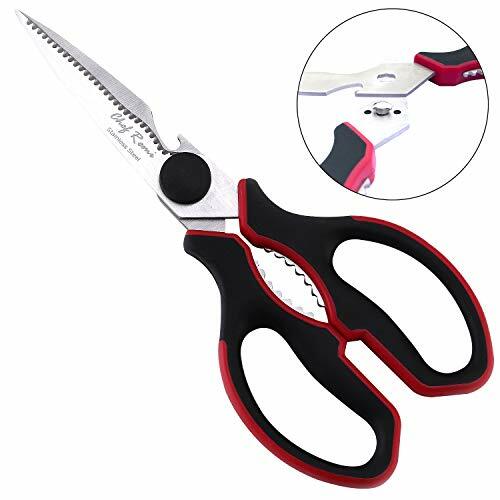 HIGH QUALITY CORROSION RESISTANT - Sharp German designed stainless steel blades with micro-serrated edge for slip proof cutting. 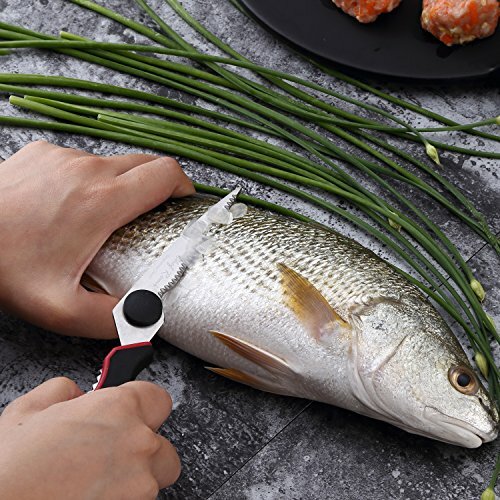 Makes food prep a 'snip'! 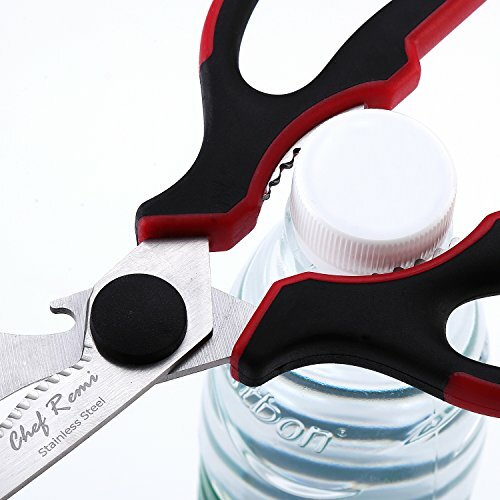 BUILT IN BOTTLE OPENER - Serrated section in easy grip handle for opening tough sealed bottles or even cracking nuts! 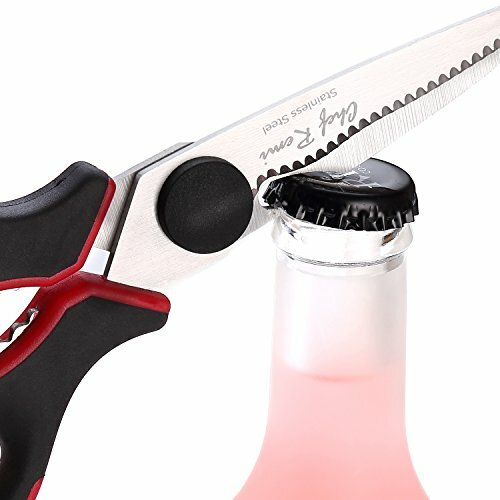 Plus 'pop top' bottle opener in the blade for fast & easy opening of bottles and jars. 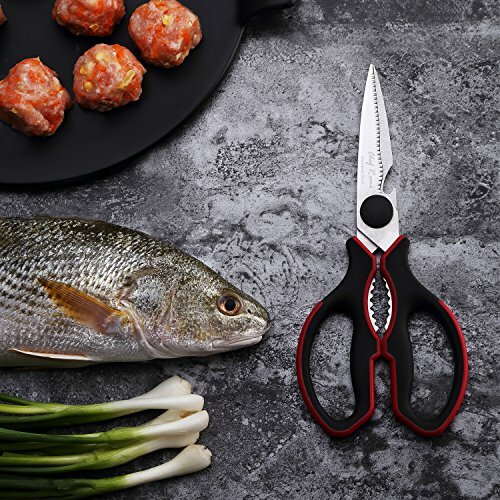 SUITABLE FOR LEFT AND RIGHT HAND COOKS - Comfortable easy grip for both right and left handed chefs, these super sharp scissors will make food preparation easier and faster. 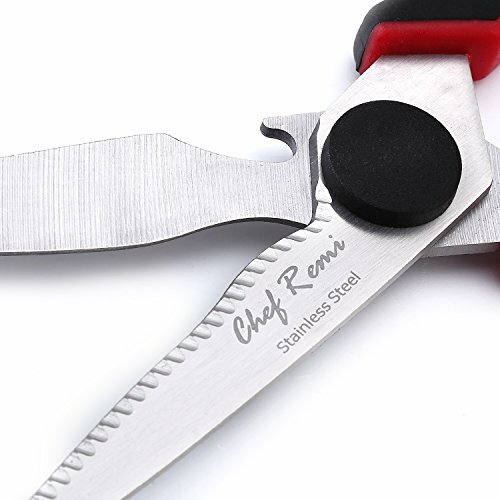 LIFETIME GUARANTEE - The Chef Remi Multifunction Kitchen Shears comes with a 100% Money Back Lifetime Guarantee. You won't get this lifetime guarantee from other big brands. Try It RISK FREE Today! We offer a LIFETIME GUARANTEE not like our competitors. Try us, RISK FREE Today!